Ufuoma Mcdermott is one of the few actresses with striving marriages as that of her colleagues have been crashing. 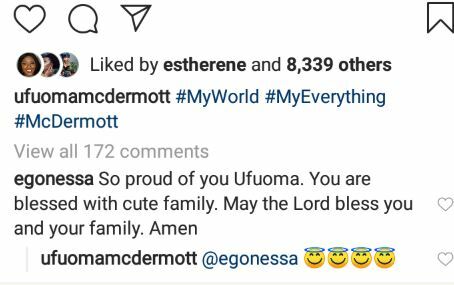 Beautiful Nollywood actress, Ufuoma Mcdermott shows off her husband and her kids in an adorable family photo as they step out in style. The family looks so good in native attire and most of their fans have been dropping lovely comments to commend them. The boy look like an half-caste with his light skin but his junior sister look darker. I no say anything ooo.